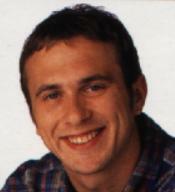 Matt joined Holby A&E at the beginning of series 9, as receptionist. He had a shady past, and often flogged stolen goods from behind reception. At the beginning of the series, Matt lived at home so he was there to break up the fights between his parents, but he got fed up of it, and moved out. His parents were both brought into Holby A&E one day, injured in a fight. His father eventually left home. When Hitchins and his gang of racists were in the department, it was Matt who heard Hitchins threaten to kill Ash. Matt said he would give evidence for Ash, but threats from Hitchins' gang that they would hurt his parents made him change his mind. He was mates with Jude Kocarnik, although they argued a lot, and she nagged him to go and give evidence, and eventually he did. However, a couple of weeks later, some of Hitchins' gang were waiting for him as he went home from work, and attacked him with a baseball bat. Jude was the only person he told what had happened. In series 10, Matt's dad kept coming to the hospital asking Matt for money. He drank heavily but kept telling Matt that he was trying to keep sober and straight. But when several of his colleagues' things were stolen, Matt realised that his father had taken them. He went to his dad's hostel and reclaimed Jude's bag, the last thing stolen, but he was seen returning it and had to tell them that his dad had taken it. The police were told, but Matt managed to get to his father in time and gave him a train ticket and a smack in the face, telling him to get out of Holby. In series 11, Matt and Jude spent the night together after getting drunk. When Jude told him she was pregnant, Matt said he would support her whatever she decided, and went with her to the hospital when she had an abortion. He then decided to leave Holby to go and help his brother run his bar in Crete. When Jude was stabbed, however, he caught the first flight home to be with her, and sat at her bedside as she lay unconscious. He said he loved her, and she opened her eyes as the series ended. At the beginning of series 12, a postcard to Holby A&E told us that they had just got married in Crete.